Every corner of the hospital prominently features hand sinks, hand sanitizer stations and reminders to wash regularly. And while health care providers are trained to clean up constantly, a new study reveals that patients may be overlooking that responsibility. Researchers at University of Michigan tested 399 hospital patients, and found that 14% of them had “superbug” antibiotic-resistant bacteria on their hands or nostrils towards the start of their hospital stay. They also tested objects commonly used by patients, such as the nurse call button. Almost a third of those objects also tested positive for such bacteria. 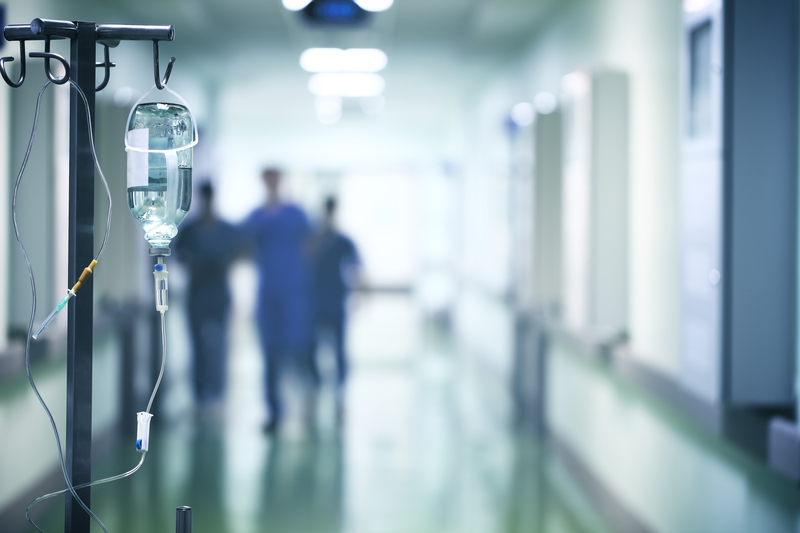 Of those who didn’t have multidrug-resistant organisms on their hands and nostrils at the start of their stay, another 6% ended up contracting the superbug later in their stay. The researchers also report that six patients in their study actually developed an infection with the superbug Methicillin-resistant Staphylococcus aureus (MRSA) — all of which had tested positive for MRSA on their hands and hospital room surfaces. The scientists also tested for vancomycin-resistant enterococcus (VRE) and resistant Gram-negative bacteria (RGNB). Thanks to overuse of antibiotic drugs and sanitizers, all three bacteria groups have evolved to withstand traditional means of treatment. Alarmingly, a similar study presented this month at the European Congress of Clinical Microbiology & Infectious Diseases (ECCMID) found that hospital staff, particularly those who work in intensive care, are not reliably washing their hands either. Researchers recorded 3,246 hours of hospital traffic in 18 ICUs across the country to observe when and how health care providers transitioned from “dirty” versus “clean” patient care tasks — and noting all the spaces between tasks where a hand wash could or should have been inserted. They found that health care workers properly washed their hands only half the time when moving from a dirty task, such as handling patients’ bodily fluids, to a clean task, and just 43% of the time when moving from cleaner to dirtier tasks. Moreover, staff was more likely to move from a dirty to a clean task if gloves were worn, while hand washing was less likely to occur. Who is shining a torch for women today? December 14, 2018 Comments Off on Who is shining a torch for women today?